A hot, humid start to the beginning of the week has transitioned into slightly cooler but drier days. Whereas dew points had been in the 70-80 degrees Fahrenheit range, they are now in the more comfortable 60’s range, meaning our bodies don’t sweat as easily when the outdoor temperature is in the 80’s. After a slight chance of thunderstorms tomorrow this dry spell looks to continue, but with somewhat cooler temperatures as highs will only reach the 70’s and lows will dip down into the 50’s. Next week is my last week of work as Arboretum Naturalist at Gustavus Adolphus College, as this fall I will be entering graduate school at the University of Minnesota – Twin Cities in pursuit of a Master’s degree in Wildlife Ecology and Management. Thus, today’s “Arb Sightings” is the last that I will post. It is with a heavy heart that I leave the Linnaeus Arboretum and my alma mater, but I am very much looking forward to taking the next step in my career. It has been one of the great pleasures of my job as Arboretum Naturalist to faithfully bring you “Arb Sightings” each week, and from the feedback I have received it sounds like it was a worthy endeavor enjoyed by readers at home and abroad (hello to my readers in Sweden!). Observing nature and sharing observations with others are essentially the core responsibilities of a naturalist, and I have no desire to cease either activity. In fact, I will continue to post my observations (in photograph form) and musings of the natural world on my personal website: bobthebirdman.com. Check it out, and feel free to drop me a line anytime! 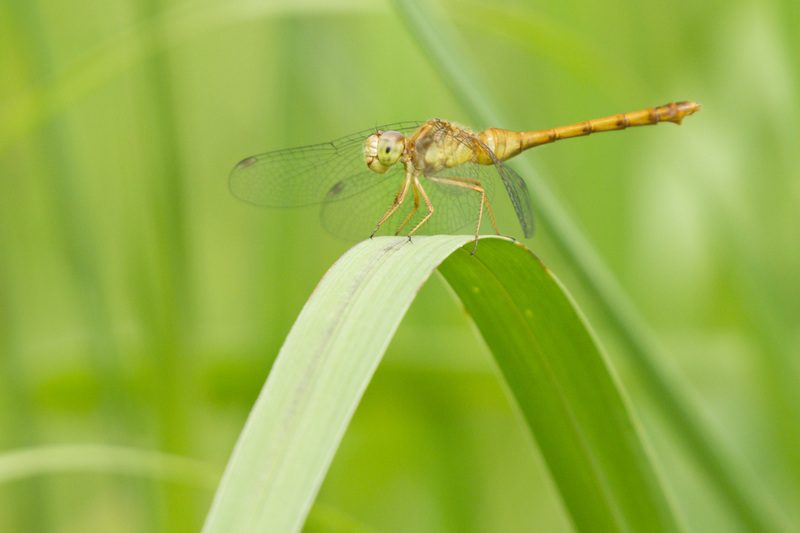 I will sign off by sharing a few photos of dragonflies taken in the Arb this week. 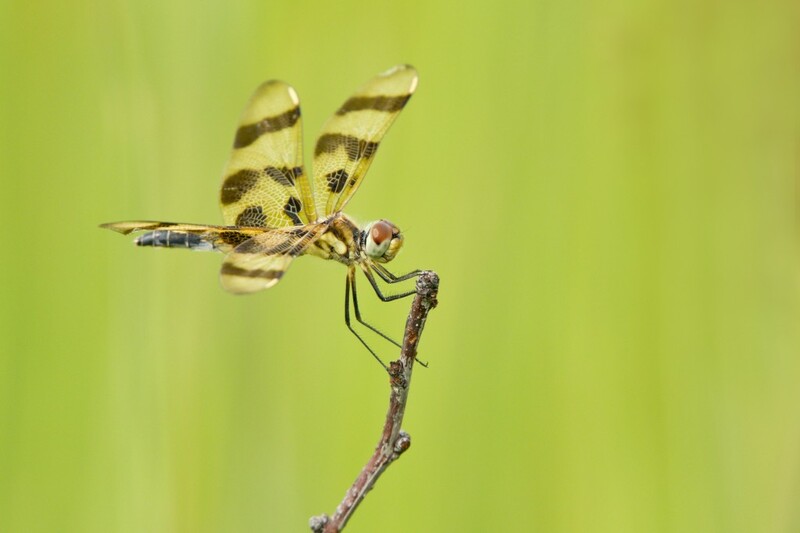 Many of you know me as Birdman; however in recent years I have taken a determined interest in other things that fly, notably butterflies and dragonflies (not that much of a jump, really). After all, I have to have something to tide me over in the middle of summer in anticipation of the coming fall migration. Good birding, and enjoy the outdoors! Halloween Pennant (female) in Uhler Prairie, 8/2/11. Ruby Meadowhawk (female) in Uhler Prairie, 8/2/11. 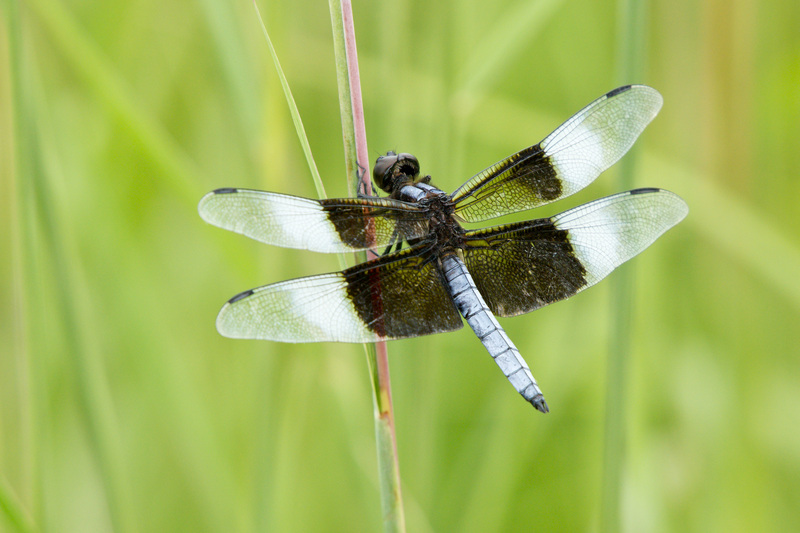 Widow Skimmer in Uhler Prairie, 8/2/11.